However innocuous the tongue might seem given its puny size, it wields the power to greatly inconvenience you when indisposed. A painful, sore, blister-ridden tongue, for instance, makes it incredibly hard for you to carry out some very basic yet essential functions like eating and speaking. Thus, as much as you would want to shrug off your ailing tongue as a nuisance in passing, it becomes almost impossible to ignore the discomfort while it lasts. Tongue blisters may be yellow or white, surrounded by a reddened area. 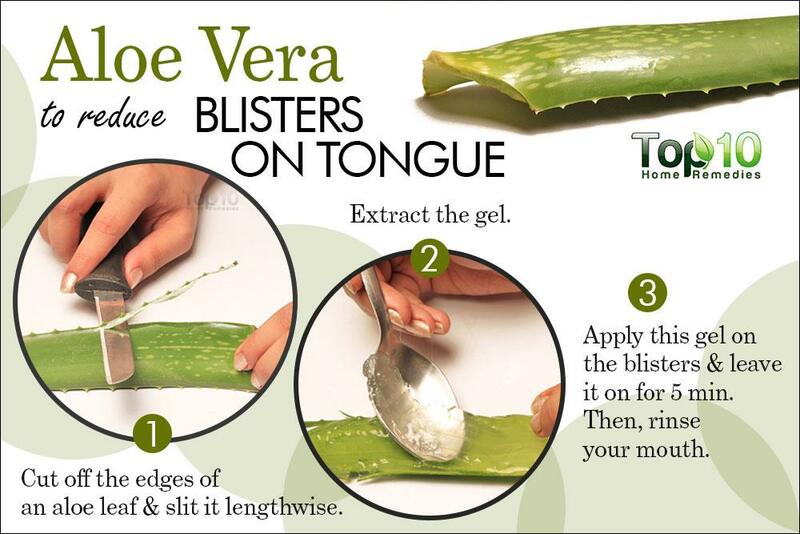 The tingling or burning pain and inflammation associated with tongue blisters can make anyone feel irritated. Plus, the blisters can make it difficult to eat food properly. One telltale sign that the blisters are the by-product of an underlying infection is that they are accompanied by fever. When you have tongue blisters, it is best to avoid spicy or acidic foods. Also, avoid eating too many sweets. Do not scratch the blisters with your teeth as it will slow down the healing process. Drink lots of cold water, cold milk, or fruit juices to help reduce the pain. Maintain good oral hygiene when you have tongue blisters. Brush your teeth regularly and use a mouthwash to remove excess bacteria or irritants. 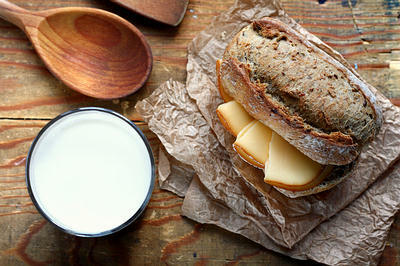 Eat soft foods that are easier to chew. Add more ginger and garlic to your daily diet. 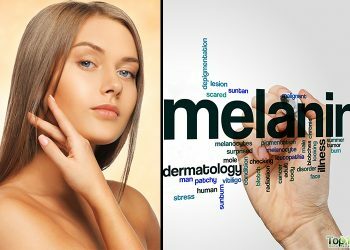 Refrain from having hot drinks, such as tea or coffee, while grappling with this condition. Additionally, don’t rush to consume drinks and foods that are too hot for your tongue to handle. Avoid using toothpaste that contains sodium lauryl sulfate (SLS) if you get frequent tongue blisters. A tongue that is in good shape is taken as a prime indicator of your overall body being in the pink of health, and vice versa. So, conditions like tongue blisters can very well be symptomatic of some other grave health scare that might merit medical attention. This makes it all the more necessary not to take them lightly, and see a doctor immediately to ascertain the cause and get it treated accordingly. The general rule of thumb recommended by medical experts is that if the blisters persist for longer than 2 weeks despite the prescribed primary treatment and care, the discomfort becomes unmanageable such that it keeps you from going about your daily business, or the condition tends to worsen progressively and is accompanied by fever. It is best to seek the help of your dentist to rule out the possibility of an oral infection or conditions that are rarer, such as pemphigus vulgaris or oral cancer. In general, tongue blisters last for about a week and disappear on their own. However, you can try some natural remedies to help alleviate the pain and inflammation. Some remedies also promote faster healing. 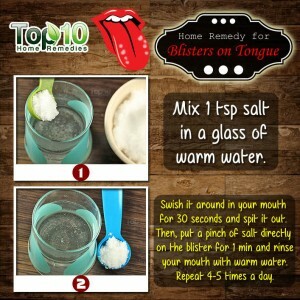 Here are the top 10 home remedies to get rid of tongue blisters. Ice has a numbing effect that will give you soothing and immediate relief from the debilitating pain as well as reduce the swelling and inflammation(3) two common symptoms that usually accompany tongue blisters. Hold ice chips or cubes directly on the blisters or rub an ice cube on them until they become numb. Alternatively, you can take sips of ice-cold water from time to time to mitigate the pain. Salt is good for treating tongue blisters as it helps reduce inflammation and pain. (4) On top of that, salt offers the added benefit of decimating oral bacteria and thereby preventing any infection that may stem from these pathogens. Thus, a salt rinse works as a handy disinfectant for your mouth. Mix 1 teaspoon of salt in 1 cup of lukewarm water and stir it well. Swish the solution in your mouth for at least 30 seconds and spit it out. Then, put a pinch of salt directly on the blisters for a minute and rinse your mouth with warm water. Repeat the process 4 or 5 times daily until the blisters are cured. 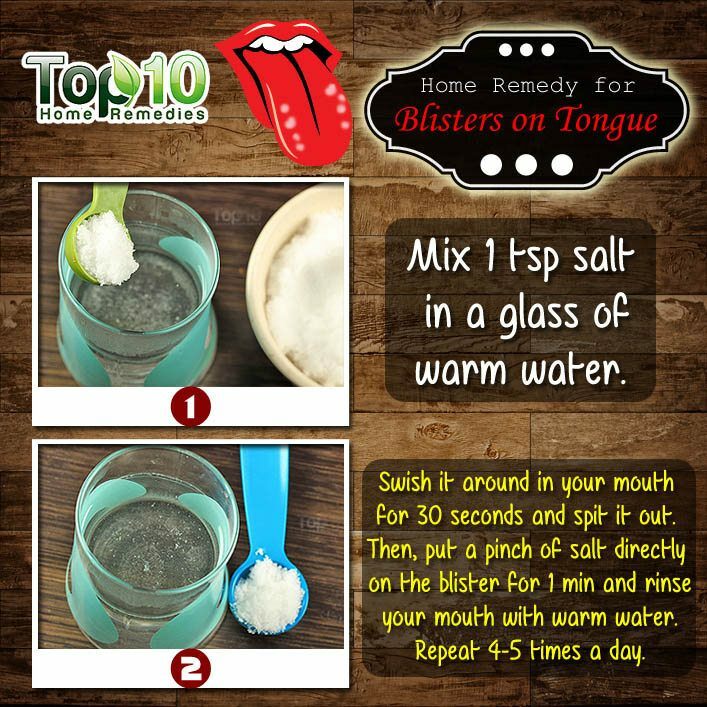 Baking soda is also very effective for the treatment of tongue blisters. It has anti-inflammatory properties(5) that help soothe pain and inflammation. It is particularly good when dealing with tongue blisters caused by canker sores. Plus, it helps restore the pH balance in the mouth. Add 1 teaspoon of baking soda to 1 cup of warm water. Swish the solution in your mouth for a few minutes such that it washes over the tongue from all sides and then spit it out. You can also prepare a paste with 1 teaspoon of baking soda and a little water. Apply it on the blisters, let it sit for a few minutes, and then rinse your mouth with lukewarm water. 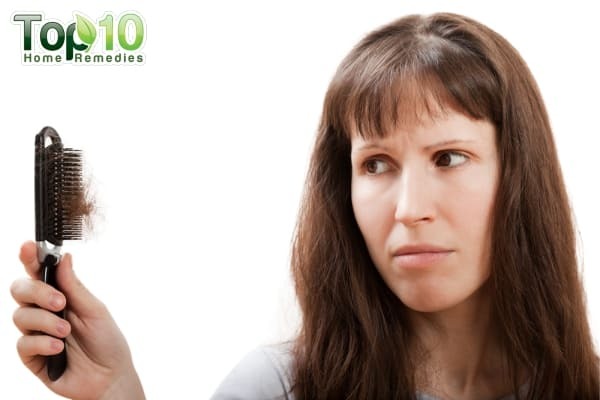 Use either of these remedies 3 or 4 times daily until you get rid of the problem. Mix equal amounts of hydrogen peroxide and warm water. Apply it on the blisters using a clean cotton swab. Leave it on for two minutes and then rinse your mouth with warm water. Note: Only 3% hydrogen peroxide will get the job done, so it’s well advised to keep the concentration limited to that. Besides, hydrogen peroxide can prove to be toxic if ingested and must only be used topically. Thus, exercise precaution when using this remedy. Curcumin, a compound which is the crown jewel of turmeric’s composite framework, exhibits analgesic and anti-inflammatory properties that can palliate the pain and inflammation(6) and facilitate faster healing of tongue blisters. Mix 1/2 teaspoon of turmeric powder with 1 tablespoon of honey. Apply the paste on the blisters with your finger and leave it on for at least 3 minutes. Rinse it off with warm water thereafter. Repeat 3 or 4 times daily for a few days. Alternatively, add 1/2 teaspoon of turmeric powder to a glass of warm milk. Drink it once daily to expedite the recovery process. Cut an aloe vera leaf to extract the gel. Apply this gel on the blisters and leave it on for 5 minutes. Rinse your mouth with lukewarm water. Repeat several times a day for about 3 to 4 days. 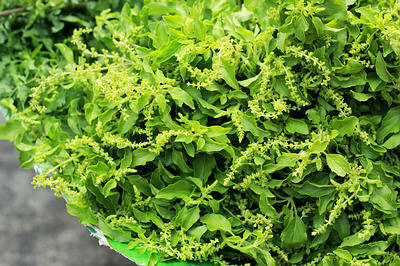 Another herb that you can use to treat tongue blisters is basil. Basil has antibacterial, anti-inflammatory, and antiseptic properties(8) that can reduce symptoms like pain and inflammation. It can even speed up the healing process. Wash a few basil leaves. Chew the leaves thoroughly, swallow them, and then sip a little water. Do this twice a day for 3 to 4 days. Tea tree oil contains antiseptic and antibacterial properties(9) that make it a very effective treatment for tongue blisters. Add a few drops of tea tree oil to a cup of water. Use this mixture as a mouthwash twice daily for a few days. Due to its strong anti-inflammatory and antiseptic properties,(10) coriander can be an effective aid in treating tongue blisters. Plus, it works as an analgesic that can help you cope with pain that comes associated with these oral lesions. 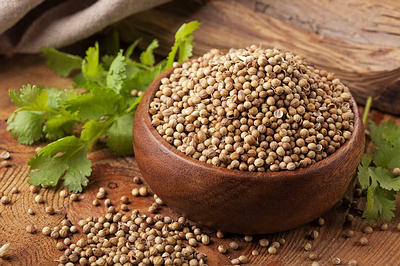 Boil 1 teaspoon of coriander seeds or coriander leaves in a cup of water. Strain the solution and then use it to rinse your mouth. Repeat 3 or 4 times daily until the condition subsides. 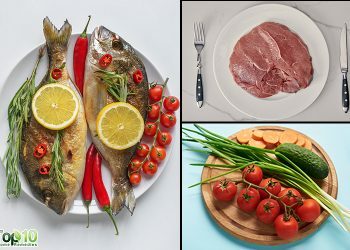 Given that tongue blisters often stem from a deficiency of vitamin B in the body,(2) it will do you good to up the intake of vitamin B-rich foods in order to promote and preserve optimal oral health. This dietary step will not only help you recover by compensating for the lack of vitamin B, but optimal levels of this essential nutrient in the body can also even prevent the blisters from recurring. Eat food rich in vitamin B, such as whole grains, eggs, salmon, oats, bran, avocados, bananas, turkey, liver, and dairy products such as milk, cheese, and yogurt. You can also take vitamin B supplements for a week to notice any ensuing improvement in the condition. Whitefield S, Raiser V, Shuster A, Kleinman S, Shlomi B, Kaplan I. The Spectrum of Oral Lesions Presenting Clinically With Papillary-Verrucous Features. Journal of Oral and Maxillofacial Surgery. https://www.ncbi.nlm.nih.gov/pubmed/28923272. Published March 2018. Flores IL, Silva ARS-, Coletta RD. Widespread red oral lesions. Plum X Metrix. 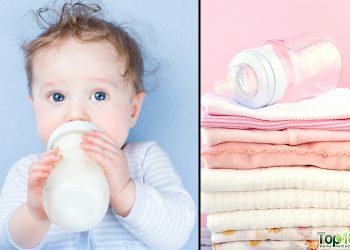 https://jada.ada.org/article/S0002-8177(14)60656-5/abstract. Published November 2013. Nemet D, Meckel Y, Bar-Sela S, Zaldivar F, Cooper DM, Eliakim A. Effect of a local cold-pack application on the systemic anabolic and inflammatory response to sprint-interval training: a prospective comparative trial. European Journal of Applied Physiology. https://www.ncbi.nlm.nih.gov/pubmed/19652995. Published November 2009. Quist SR, Wiswedel I, Quist J. Anti-inflammatory Effects of Topical Formulations Containing Sea Silt and Sea Salt on Human Skin In Vivo During Cutaneous Microdialysis. Acta Dermato-Venereologica. https://www.medicaljournals.se/acta/content/html/10.2340/00015555-1128. Published February 2, 2011. Miyasaki KT, Genco RJ, Wilson ME. Antimicrobial properties of hydrogen peroxide and sodium bicarbonate individually and in combination against selected oral, gram-negative, facultative bacteria. Journal of Dental Research. https://www.ncbi.nlm.nih.gov/pubmed/3016051. Published September 1986. Visuthikosol V, Chowchuen B, Sukwanarat Y. Effect of Aloe vera gel to healing of burn wound– a clinical and histologic study. Journal of the Medical Association of Thailand. https://www.researchgate.net/publication/15636680_Effect_of_Aloe_vera_gel_to_healing_of_burn_wound-_a_clinical_and_histologic_study. Published August 1995. Suppakul P, Miltz J, Sonneveld K, Bigger SW. Antimicrobial properties of basil and its possible application in food packaging. Journal of Agricultural and Food Chemistry. https://www.ncbi.nlm.nih.gov/pubmed/12744643. Published May 21, 2003. Carson CF, Hammer KA, Riley TV. 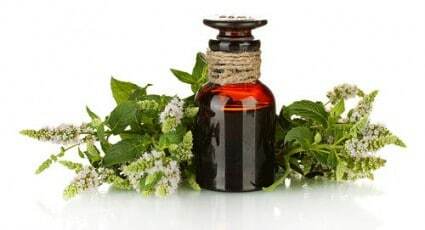 Melaleuca alternifolia (Tea Tree) Oil: a Review of Antimicrobial and Other Medicinal Properties. ClinIcal Microbiological Reviews. https://www.ncbi.nlm.nih.gov/pmc/articles/PMC1360273/. Published January 2006. Kubo I, Fujita K, Kubo A, Nihei K, Ogura T. Antibacterial activity of coriander volatile compounds against Salmonella choleraesuis. Journal of Agricultural and Food Chemistry. https://www.ncbi.nlm.nih.gov/pubmed/15161192. Published June 2, 2004. Salt worked better than baking soda but they all worked very well over all. Thank you very much. Very helpful. Thanks for the tips. Very trustable site. Easy to understand nd presentation nd background r cool. Not bothering. I AM A 11 YEAR OLD AND I REALLY HATE WHEN I GET TONGUE BLISTERS. I CRY EVERY TIME I GET ONE THIS SIGHT HELPED A LOT THANKS!!!! LOV U! Salt water proved really helpful, i was even not in position to talk first but now i feel relax.